The last week has been rather frustrating for the Team and not without its moments. 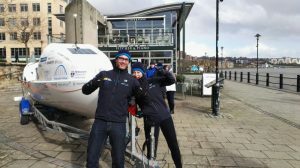 On 16th March we were looking forward to our first outing in the Atlantic rowing boat. Tom Salt from Shoreseekers ( www.shoreseekerchallenge.com ) had travelled North to support us, Tom having taken part in the ocean race in the past. We met up at South Shields Sailing Club who had kindly agreed to provide safety cover (thanks Jason Riby and Niall Graham). 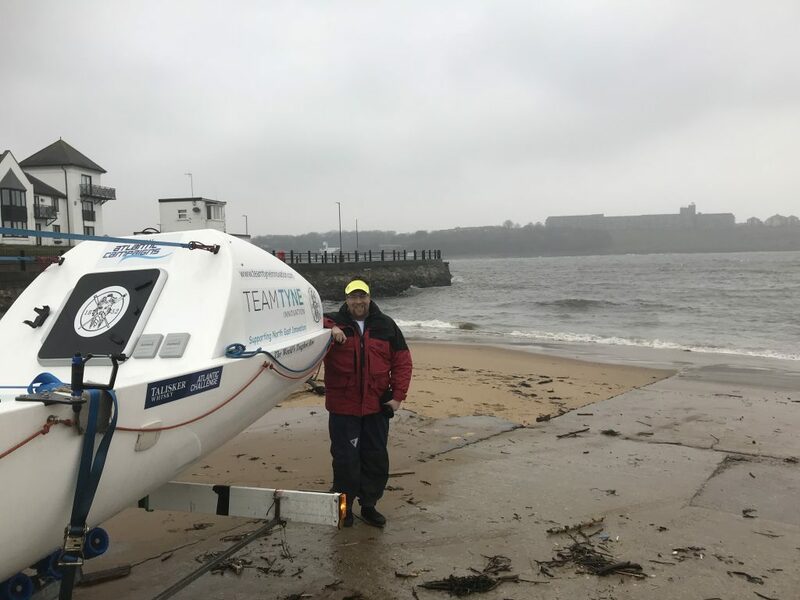 Unfortunately the weather closed in and we were unable to get out on the water but we learnt a lot of lessons about the boat that will benefit us when it comes to the race, thanks to Tom. We now realise there is more to the challenge than we have contemplated to date and need to focus on planning and the allocation of responsibilities so we are fully prepared come the race. 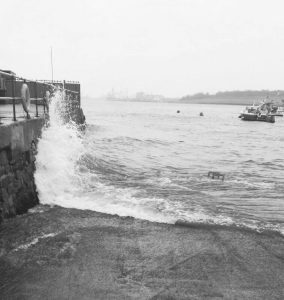 Whilst at South Shields and looking for a more sheltered slipway we came across the North East Maritime Trust ( www.nemaritimetrust.co.uk ). 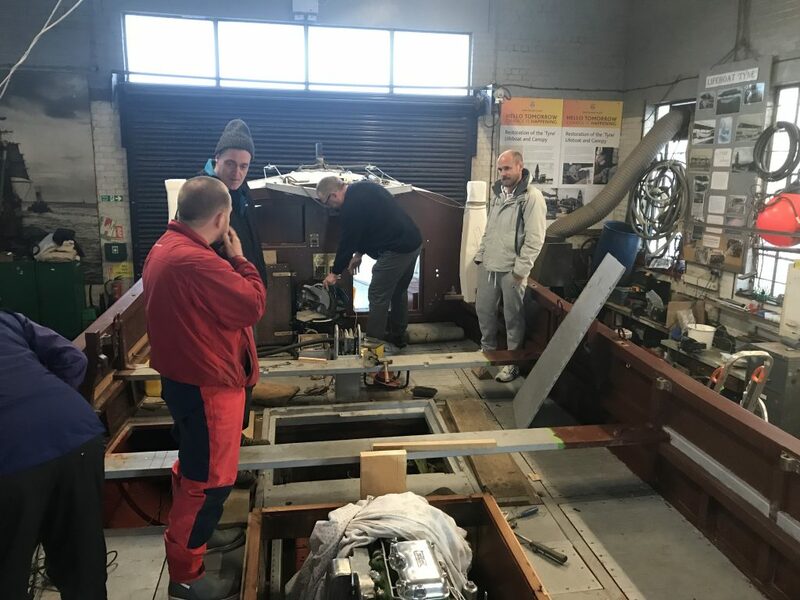 They are currently working on a major refurbishment of the Lifeboat, the Henry Frederick Swan. 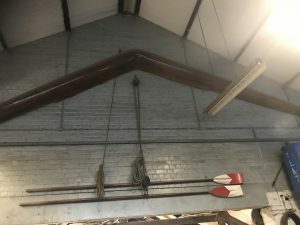 They also had a design of rowing boat for making going around bends in the river easier. 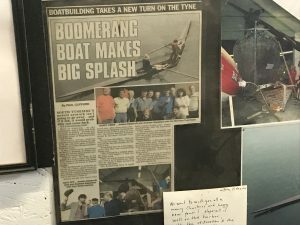 It was great to meet a group of craftsmen preserving the maritime heritage of the North East of England. Well worth a visit and giving them your support. 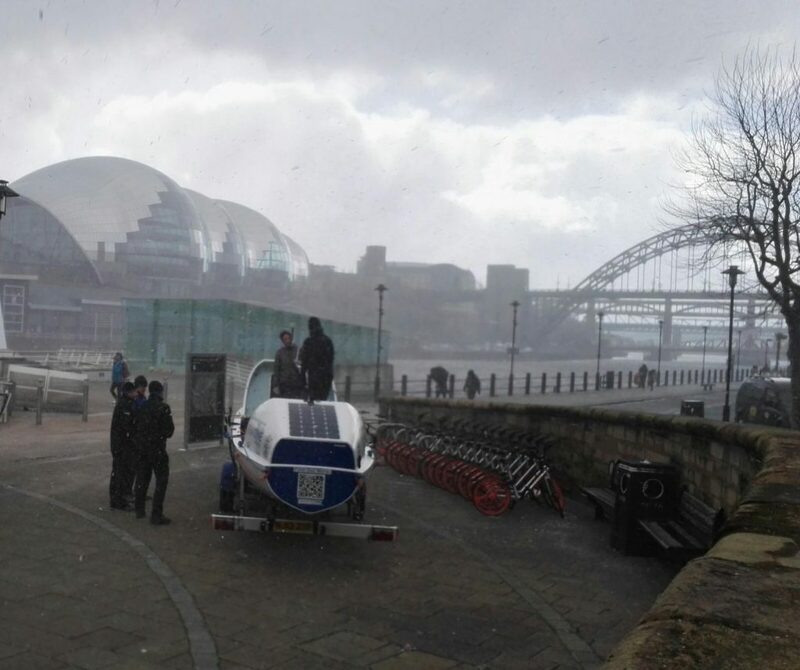 On the 17th March the plan was to attend the Newcastle Durham University boat race taking place on the quayside. 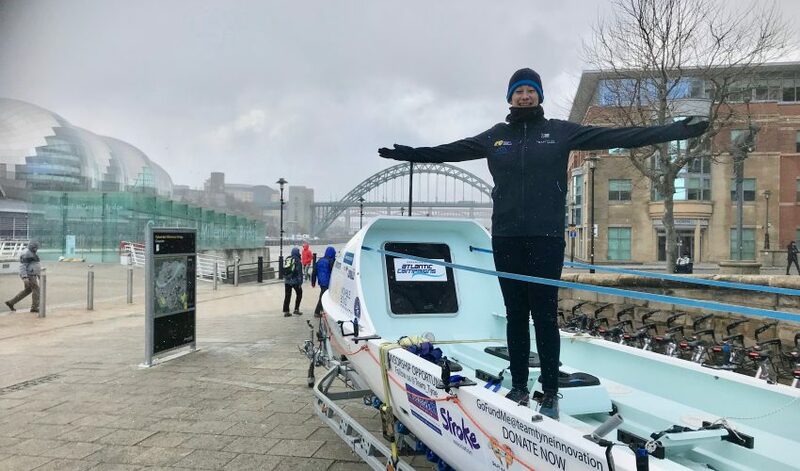 Unfortunately, once again the weather interfered with our plans with a combination of high wind and snow, but we still took the boat and parked it up next to the Pitcher and Piano (thanks to Newcastle Council highways). It was great to touch base with those hardy souls who ventured out. 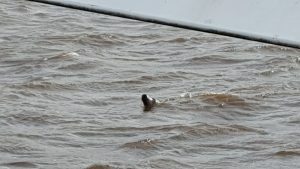 Thanks to those who took the time to come and speak to us including Sammy the seal.